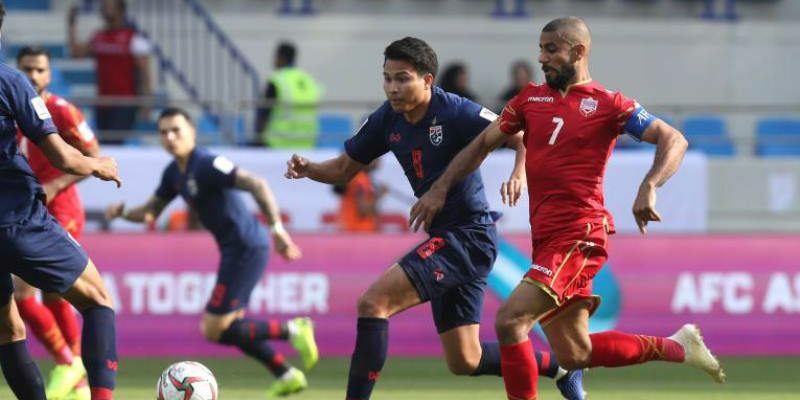 BANGKOK (10 Jan 2019) – Thailand put their nightmare against India behind them to bounce back and beat Bahrain 1-0 at the Al Maktoum Stadium in Dubai to put their AFC Asian Cup 2019 campaign back on track. The ASEAN powerhouse suffered a humiliating start to their Asian Cup campaign when they fell to a 4-1 loss to India in their Group A opener. That defeat led to Milovan Rajevac being relieved of his duties as head coach by the FA of Thailand (FAT). Against Bahrain, Thailand were not overly defensive as they relied more on the counter attacks in the first half but becoming more adventurous after the restart. An aggressive Bahraini side who were held to a 1-1 draw by hosts United Arab Emirates in their first game of the competition, failed to convert their possession into goal as Thailand remained strong defensively against the likes of Mohamed Marhood, Sayed Dhiya Saeed and Mohamed Al Romaihi. Chanathip Songkrasin then turned hero for the Thais in the 58th minute when he latched on to a rebound to blast past Bahraini keeper Shubbar Alawi. In the final game in the group, Thailand will take on UAE while Bahrain will play India.